I, Lindsay, understand that not everyone is meant to be a baker. 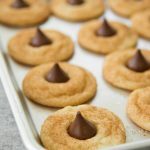 It doesn’t matter how clear and concise the instructions are, some people just can’t quite make it look like the pictures, but that doesn’t mean they should be unable to make something sweet and delicious. So when people like this come to me, I always suggest chocolate bark. It requires very few ingredients, little to no cooking skills, and is both beautiful and delicious. I also like it because it is totally customizable. 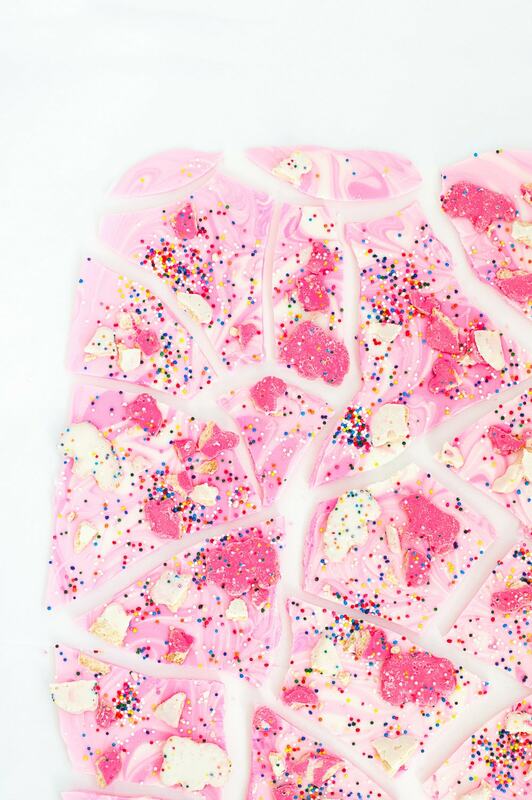 White chocolate, dark chocolate, nuts, sprinkles, dried fruit – the possibilities are endless. 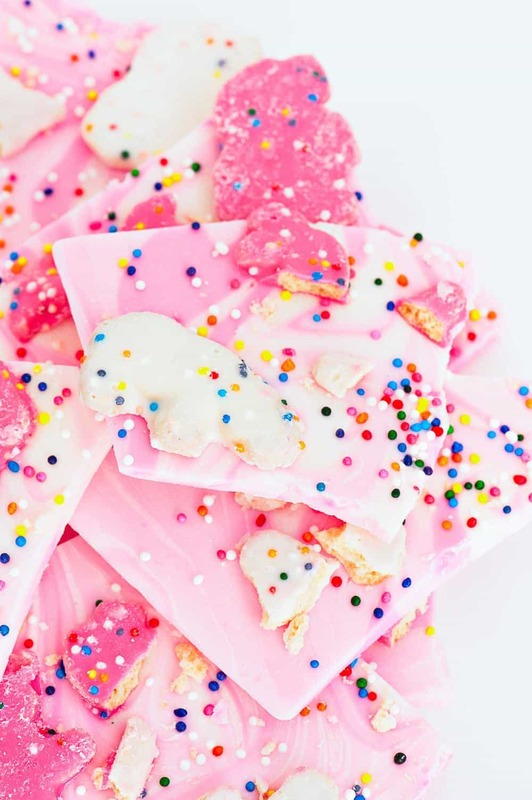 For today’s recipe, I incorporated my favorite frosted circus animal cookies — and of course sprinkles— to make this Frosted Circus Animal Bark. Melt chocolate in microwave at 20 second intervals until completely melted. Divide chocolate into thirds. Use the candy coloring to tint one portion dark pink, and one portion light pink. Leave the final portion white. Spoon large dollops of chocolate randomly across pan. 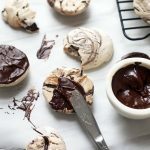 Using a knife, make circular motions all over the pan to combine chocolates together. 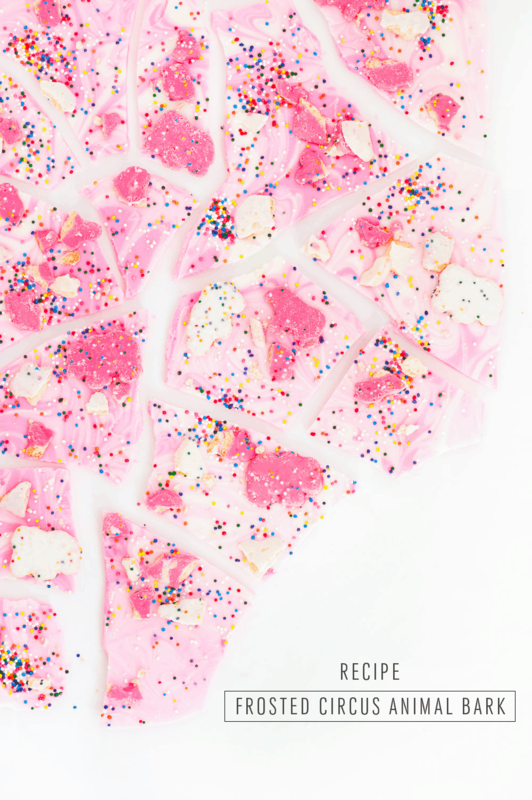 Sprinkle on nonpareils and animal cookies. Place in the fridge until firm, and then break into pieces and serve. 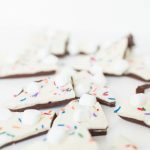 The other great thing about chocolate bark is that it is so easy to share! 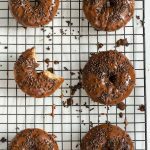 Once you have mastered this recipe, make sure you take it to your friends to show off your new baking skills! Do you have a favorite bark topping? 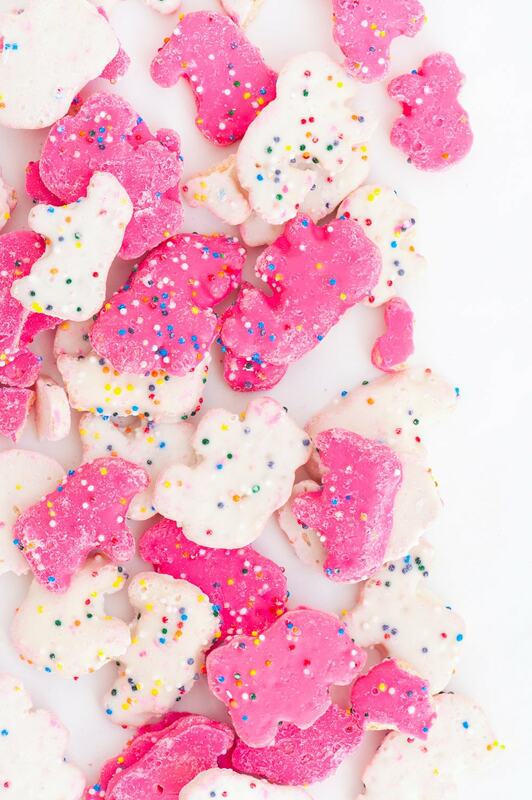 I love the crunch on the Frosted Circus Animal Cookies, but I am always looking for new ideas! 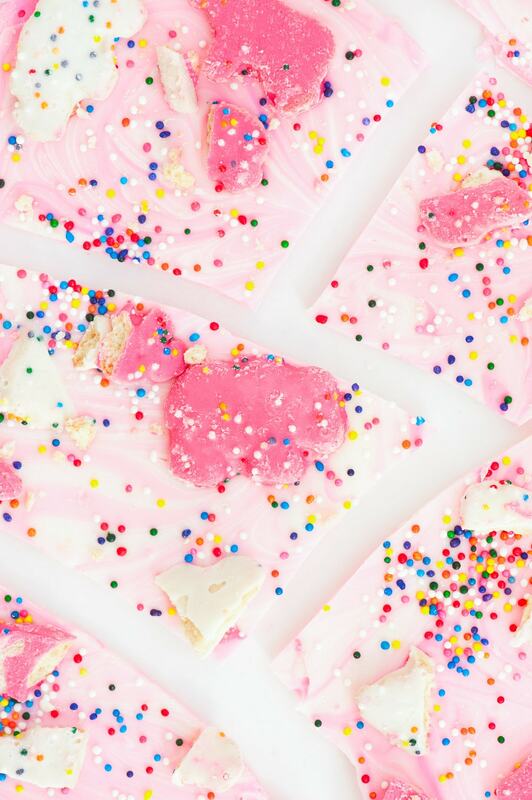 This is *literally* the prettiest bark I have ever seen. It would be so hard to resist this! 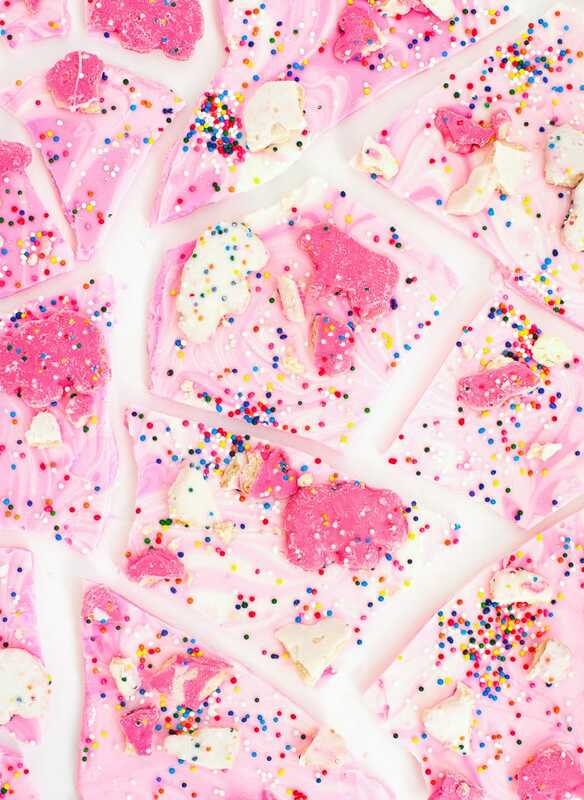 This cracker bark looks amazing! 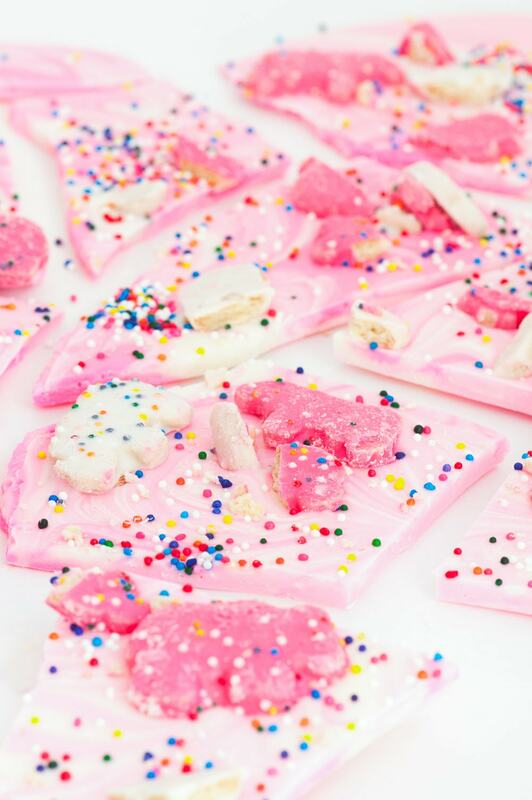 I’m obsessed with frosted animal crackers, So I need to make this asap. China, still it is not going to equal the quantity of coal that individuals use. own personal renewable power solution right in your garage or workshop.